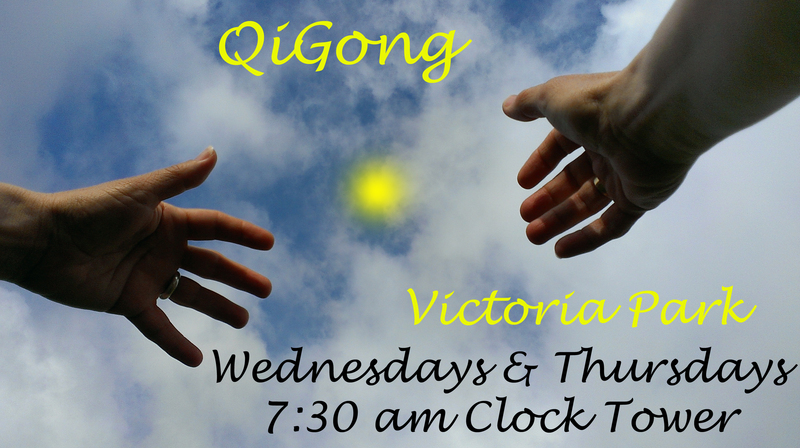 We will be having our QiGong class tomorrow, Saturday, May 23rd, at noon, at the Kitchener site – 67 King St. East! QiGong in community this morning. 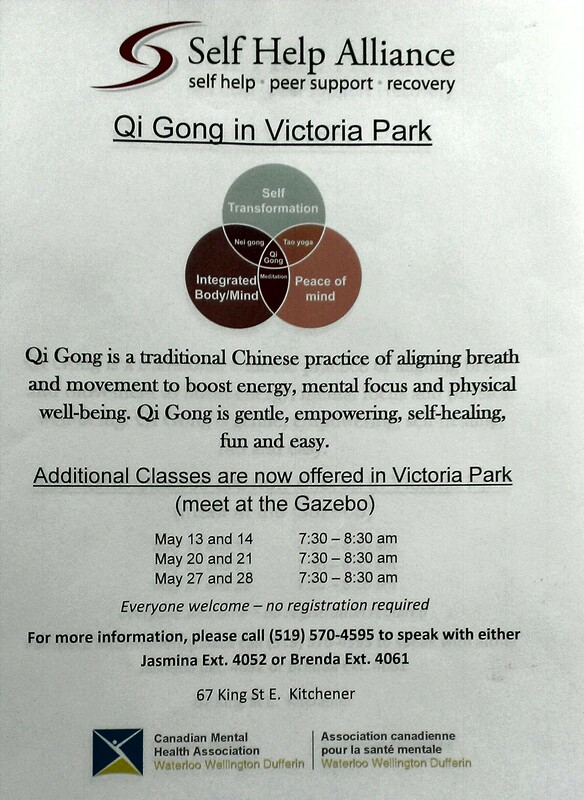 QiGong at Victoria Park. We meet at the clock tower! 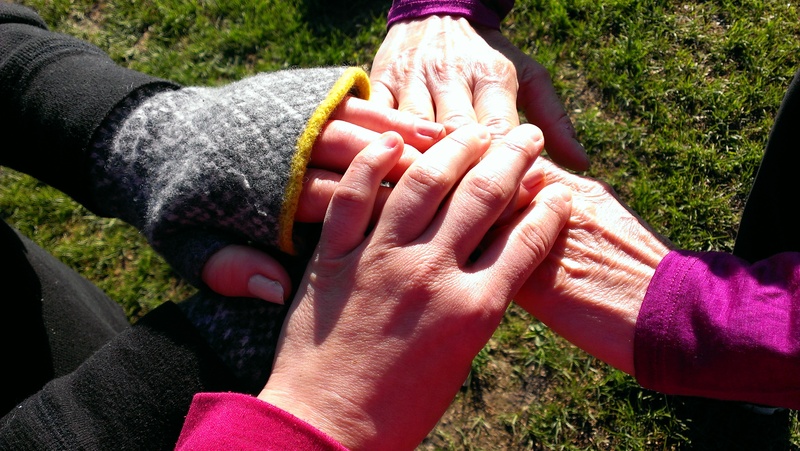 The photograph of our hands is a humble representation of our interconnectedness and interrelating with one another. Come and join us on Wednesdays and Thursdays at 7:30 am, by the clock tower in Victoria Park. For 1 hour, come and experience your full attention to your body, heart and mind. Come, receive, embrace, and reconnect with your internal wisdom that’s waiting for your presence with gentle moving meditations in nature. Looking forward to share with you the wonders and joy of QiGong practiced together in the community.